Check out these randomly chosen testimonials from just a few of our tour participants, many of whom tour with us in New Zealand, Europe or USA every year! 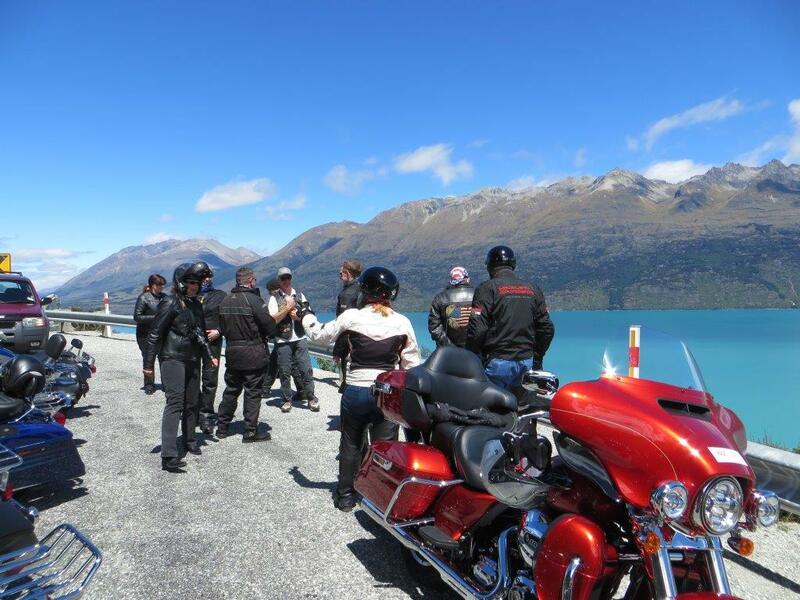 "As many of my friends have known that I have done quite a few rides: Canada, Jordan, Italy, Austria, Slovakia, Viet Nam and across America several times...and this South Island - New Zealand ride with Donna and Graham Beker's MCT was one of my best by far. They picked the best routes, awesome restaurants, perfect accommodations. 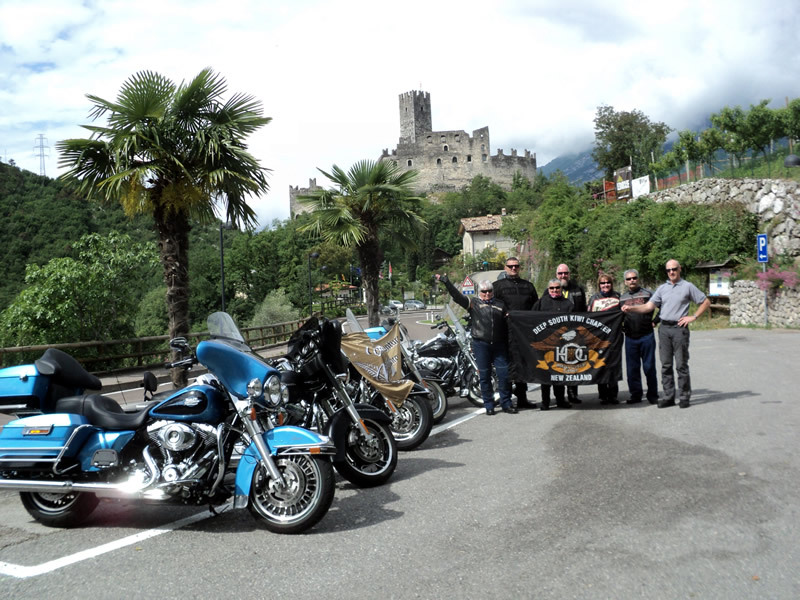 What can you ask for when finishing your beautiful ride day with a hot jacuzzi, a local mom and pop's fresh meal then get cozy in a heated bed in the deep Southern Alps, not to mention your room equipped with a full kitchen and in-room laundry. We hit all the hot spots at the right time avoided all the crowd of tourists and tour buses. Donna handled that red Road King on those twisty mountain roads like no body else business and if you weren't that good of a rider, following Donna on one or two rides you'll guarantee to be an experienced one, plus she would give you all the tips on how to handle your bike on these one lane twisty sometimes rocky mountain roads...(shhhh...!! Donna made quite a few front-page and center full of motorcycle magazines including HOGS Tail...) And guess what? 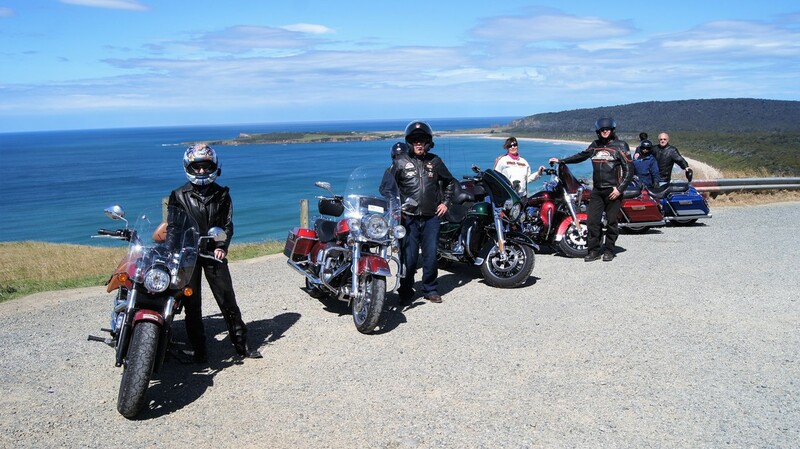 Donna grew up in the same town and just a few block from the Legend Burt Munro. If you're lucky enough to get on one of their personal and exclusive tours, you'll get to visit her home town with a very personal touch. Last but not least, Graham was the most organized and talented man I know. He would keep all eyes on the comfort on your ride, alway makes sure you're well informed on your next turn on the road and what to expect of the weather at all time. Graham Beker, a perfectionist! Donna and Graham were generous, gentle, details oriented and boy...they were funny and so much fun to be with. What's a ride! Great memories! Loved my ride there! 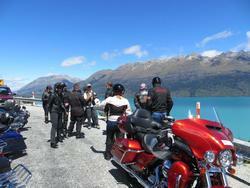 New Zealand ride with Beker's Mct is a must do on a biker bucket list.